Multi-media entertainment company LEVEL-5 abby Inc. creates, produces and distributes highly engaging content for children, adults and game/anime fans worldwide. The company's mission is to bring its universally-themed popular game and animation content from Japan to fans globally, across all platforms and all devices. 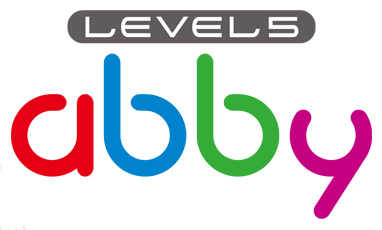 LEVEL-5 abby makes a strong commitment to maintaining its position on the frontier where the newest technologies and great entertainment intersect. The company's tentpole franchises – YO-KAI WATCH™, Little Battlers eXperience™ (LBX™) and SNACK WORLD™ -- are debuting before western audiences via multiple touch points, including animation, toys, comics, music, and many more ways in coming years. Founder, President/CEO of LEVEL-5 Inc., the parent company of LEVEL-5 abby Inc., Hino is the creative chief of the company, with need roots in game development. Today, he is considered one of the most successful children's entertainment creators, with the ability to develop a robust, cross-media entertainment universe accessed through games, TV animation, toys, and new media platforms. Based in Southern California, Hayakawa oversees development and implementation of LEVEL-5 abby Inc.'s corporate strategy, as well as the company's day-to-day operations. Prior to joining LEVEL-5, Hayakawa held positions in marketing and business development at a leading global entertainment company and a top management consulting firm. The company's flagship PROFESSOR LAYTON™ series has shipped over 15.5 million units worldwide,The Ni no Kuni™ series, featuring animations created the Academy Award-winning Studio Ghibli, has sold over 1.5 million titles worldwide and received numerous prominent game awards. LEVEL-5's cross-media titles include INAZUMA ELEVEN™, Little Battlers eXperience, and most recently,YO-KAI WATCH, which has sold over 8 million copies of its games　in Japan alone. While maintaining its foundation as a game company, LEVEL-5 Inc. continues to actively explore collaborations with other media as it strives to flourish as a world-class entertainment brand. ©LEVEL-5 abby Inc. All Rights Reserved.